When I think back to my childhood, I am so thankful for all the unique adventures my family allowed me to have and experience alongside them. Largely due to my grandfather and his adventurous spirit I learned to ski, camp and get muddy crawling around in dark caves as a preschooler. Although my grandfather passed way when I was young, I have so many amazing memories of being with him. Most of those memories are specific moments. Eating his blueberry pancakes before a day on the ski slopes in Colorado, cracking open coconuts for milk at Christmas in the Cayman Islands, sitting in his lap learning how to draw a tree stump with pencil and paper, and celebrating Christmas early december each year in a cave in southern Tennessee. I am so thankful for these memories and moments that are etched in my mind. I am also thankful for documentation and the fact that I can continue to learn more about my granddad through pictures and stories told by people who knew him, explored with him. 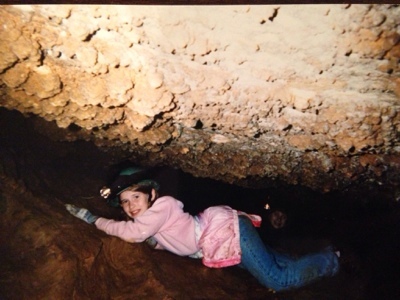 My granddad was a spelunker and member of the Huntsville grotto who helped discover Fern Cave. 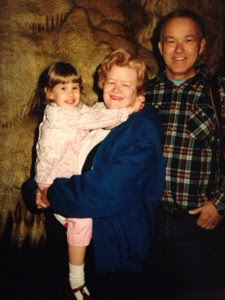 I love that picture of me, grandma and granddad in Cumberland Caverns. 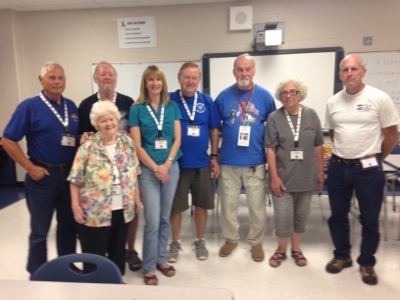 This week the National Speleological Society has had their annual meeting in Huntsville, with lots of events and special things to honor cavers that have contributed to the field. 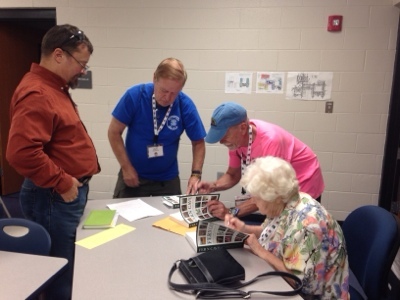 There is a banquet on Friday night that Aunt Karen is flying in and taking grandma to, but this afternoon Perry and I got to take Grandma up to the conference to pick up a copy of, and sign copies of, a book about Fern Cave. 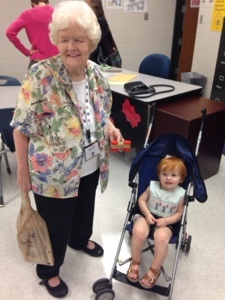 She got to be reunited with several old and new friends that have been a big part of the Fern Cave history. It was fun getting to see some familiar faces and names. Perry had fun running the halls of Lee High School and being his usual friendly self. Afterwards we went downtown for some some pizza and gelato downtown with Grandma. What a fun way to spend a day off of work. One day, I can't wait for Perry to read about Fern Cave and the amazing man that his great granddaddy was.